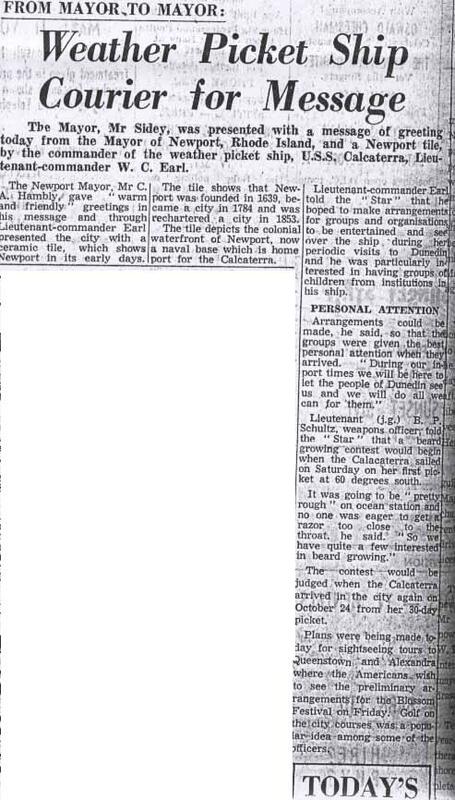 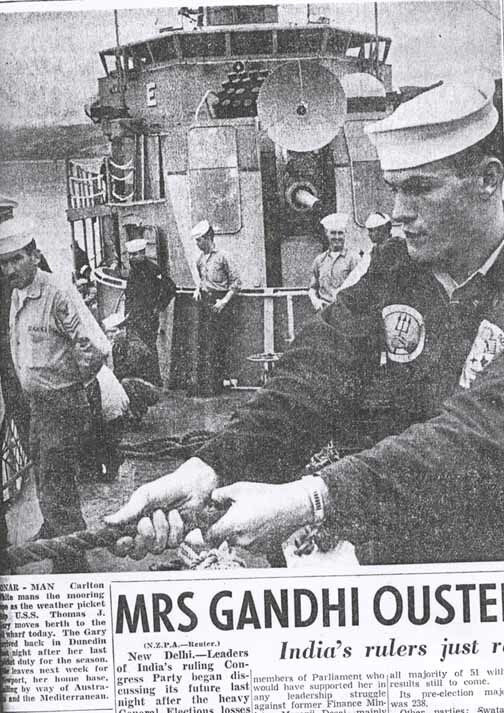 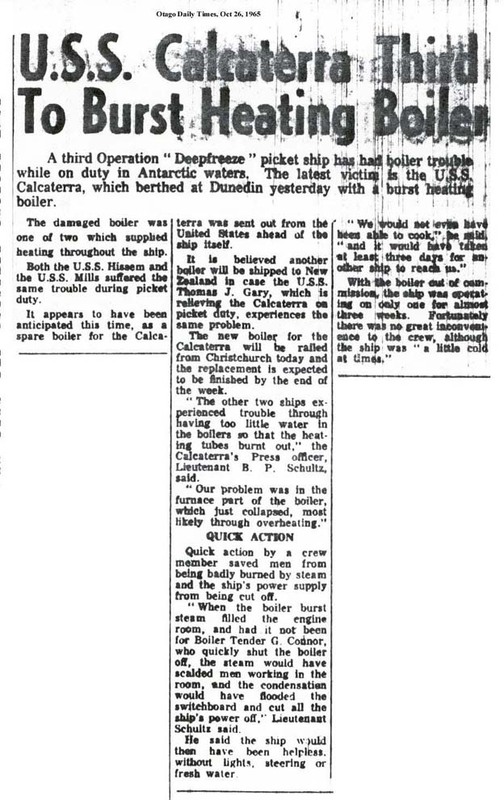 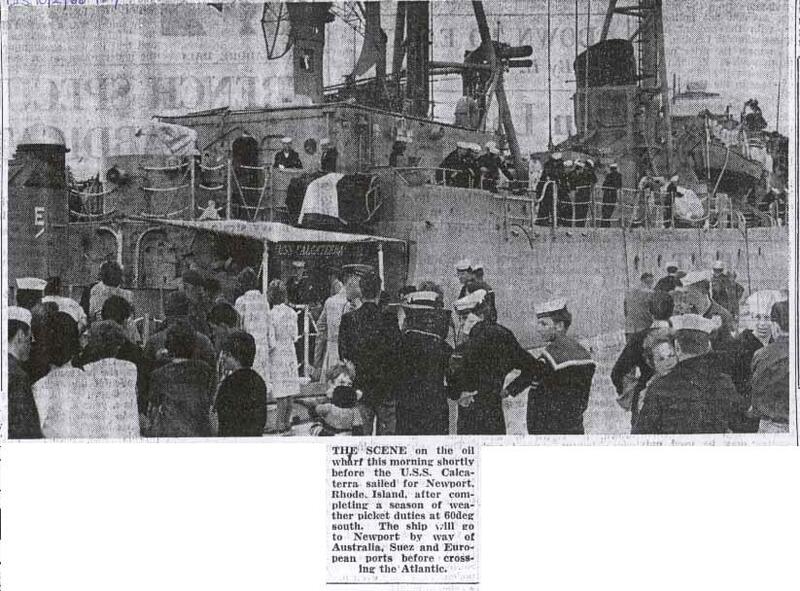 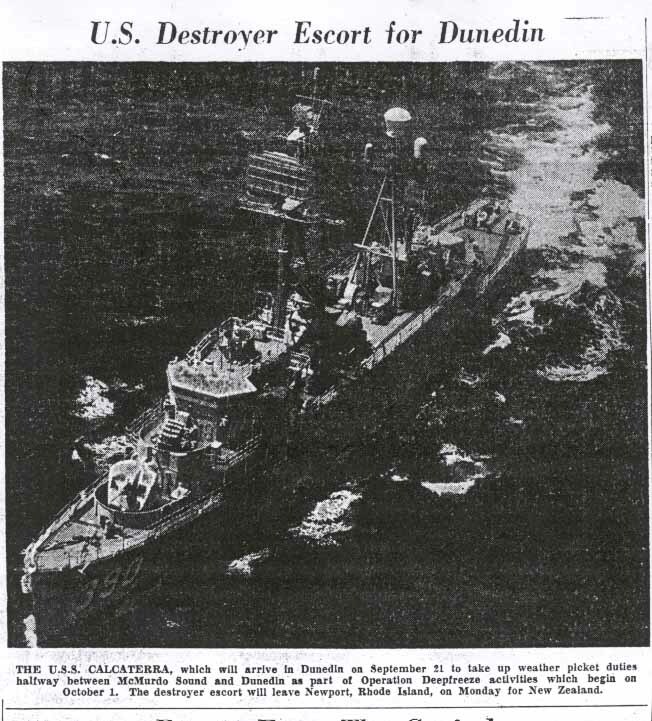 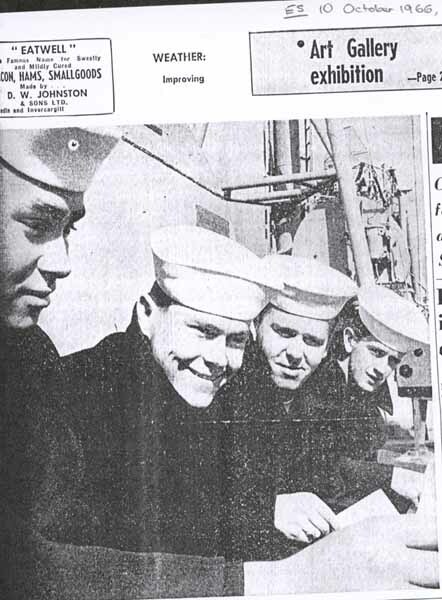 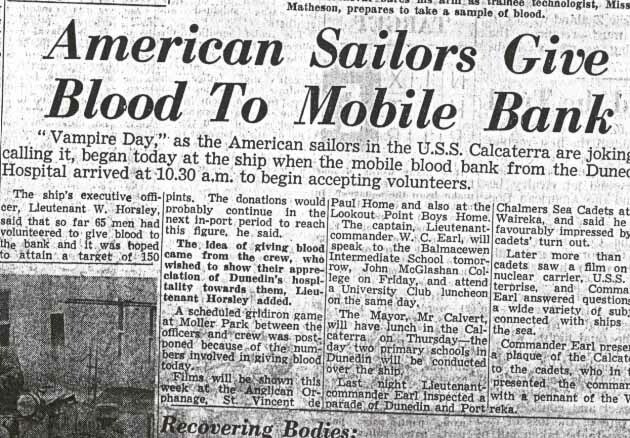 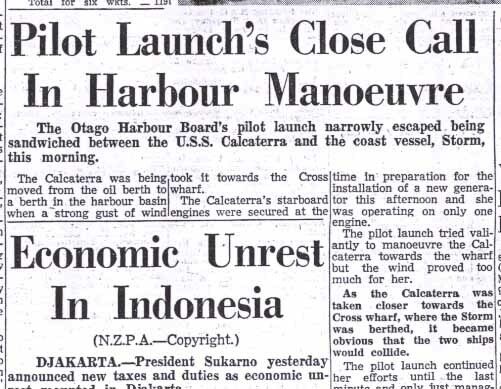 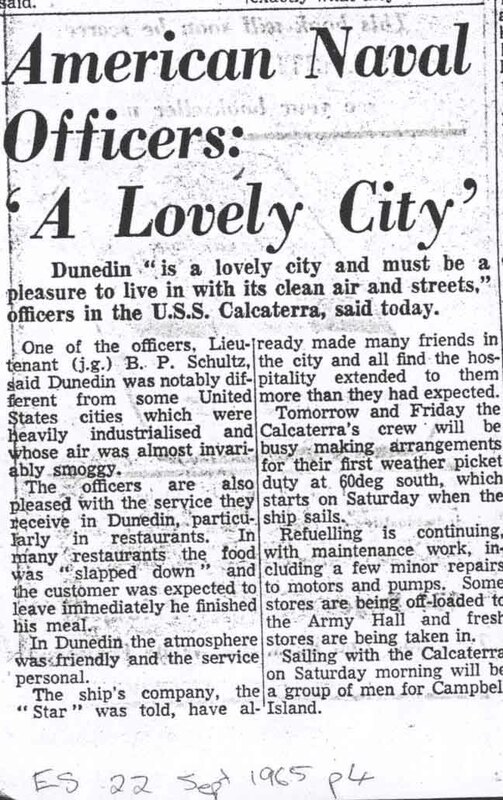 - Sept. 22, 1965, American Naval Officers: "A Lovely City"
- Jan. 11, 1966, USS Calcaterra hits Coastal vessel Storm. 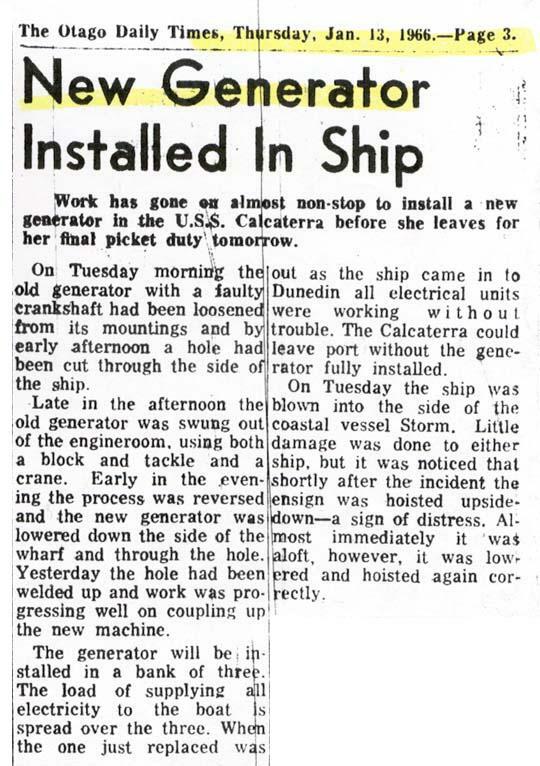 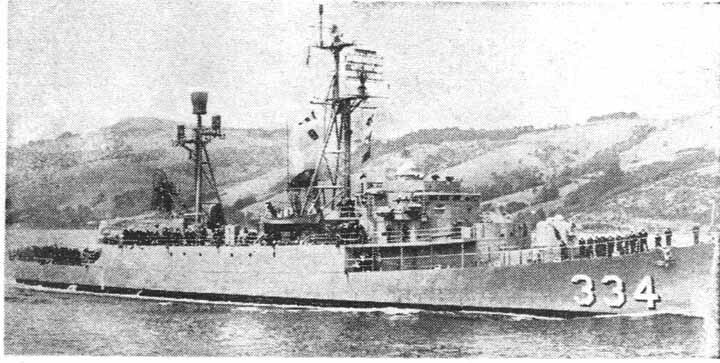 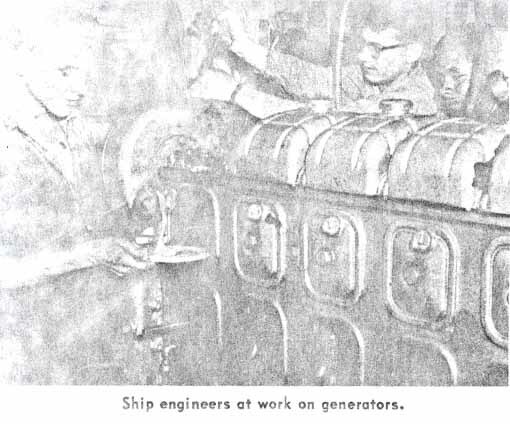 - Jan 13, 1966, USS Calcaterra receives new generator. 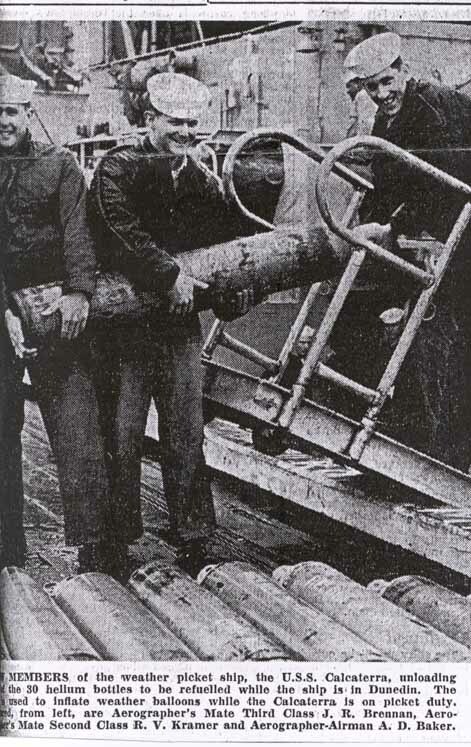 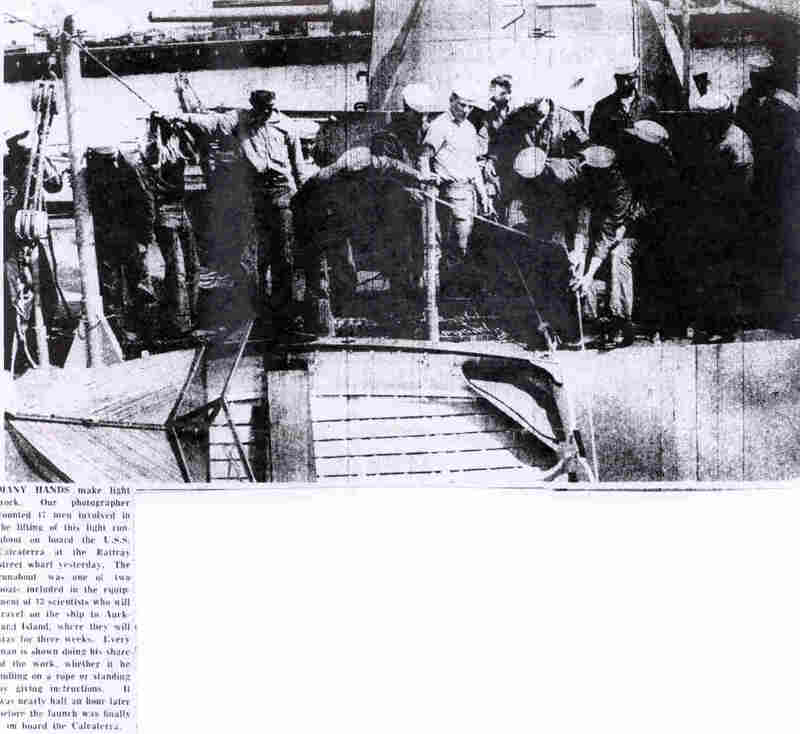 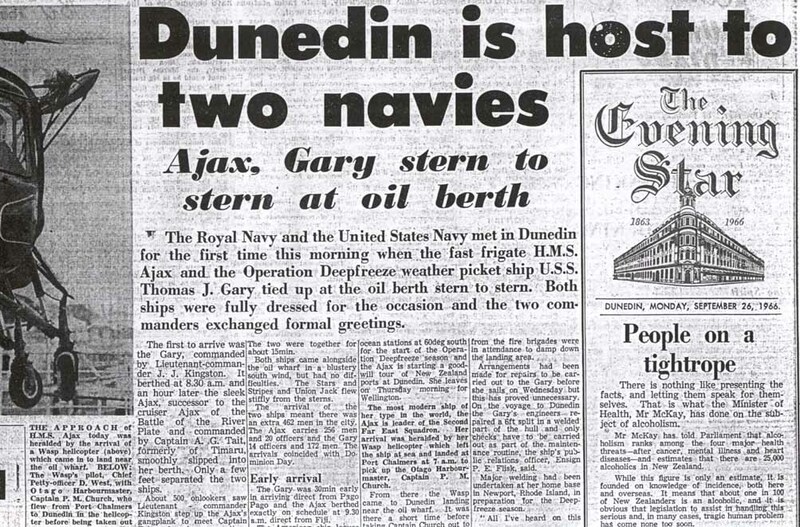 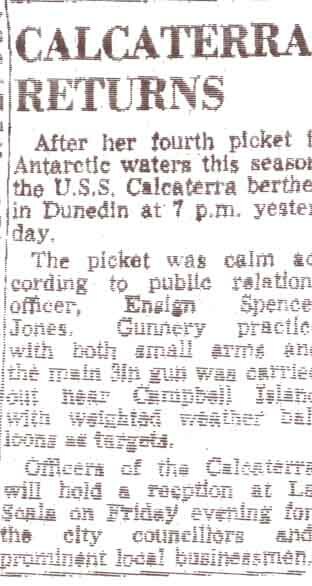 - Another Jan. 14, 1966 Scientist off to Auckland Island. 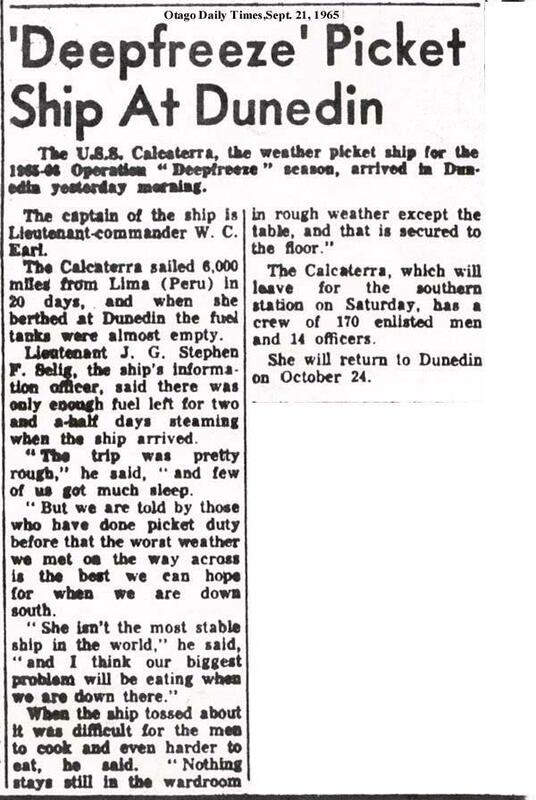 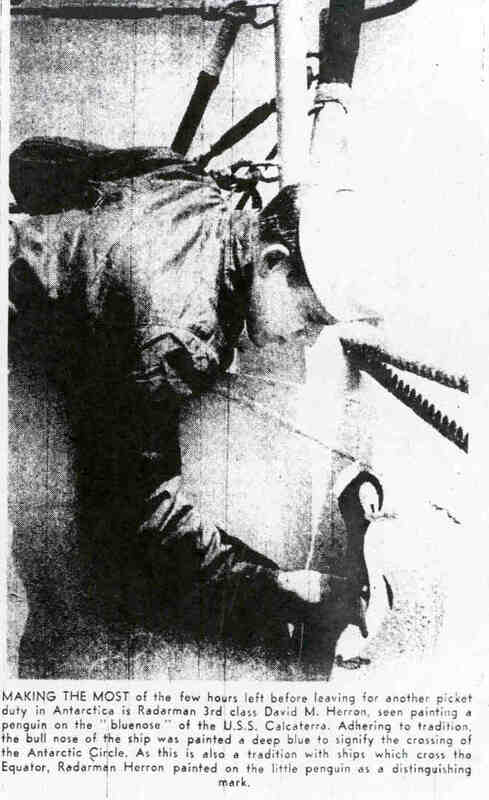 - Feb. 16, 1968, Picture and small article on Calcaterra. 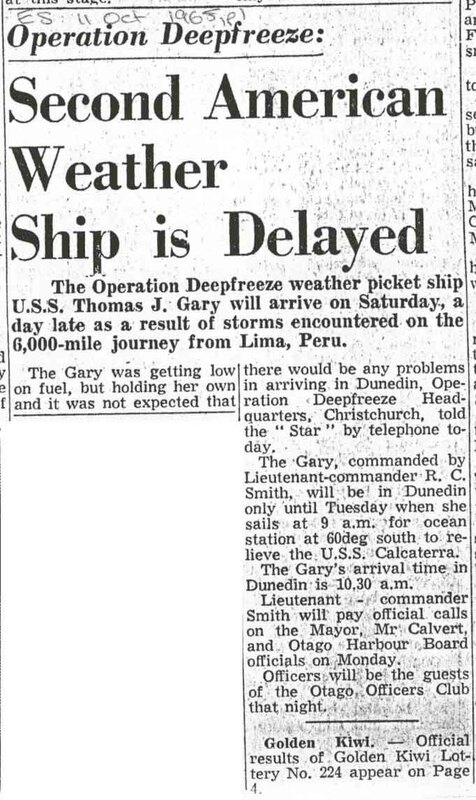 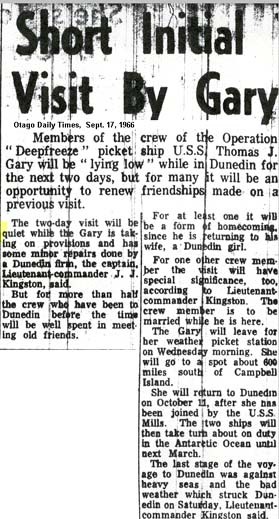 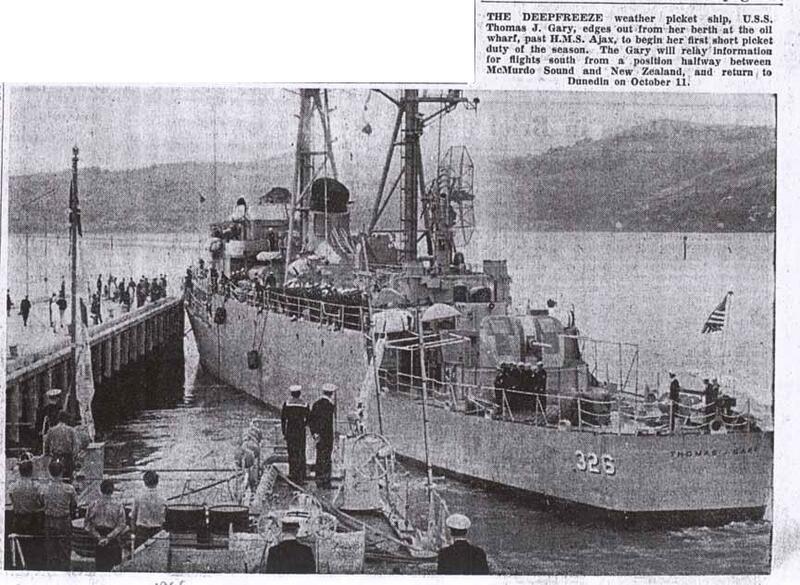 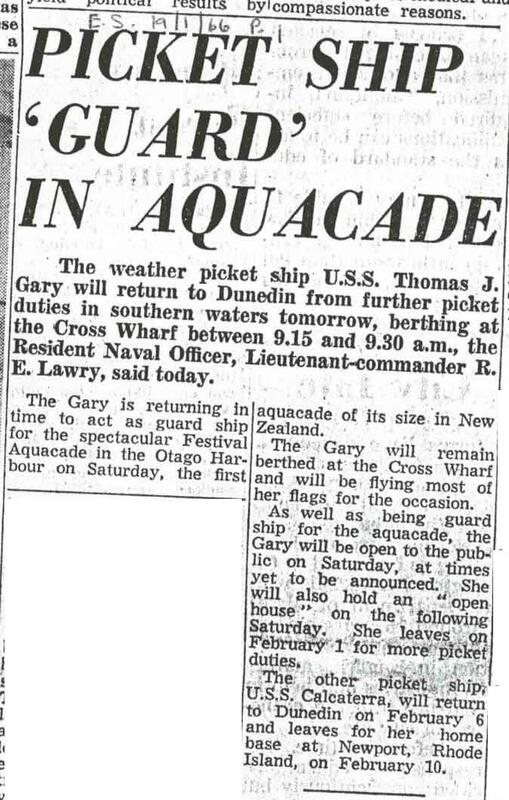 - Sept. 7, 1965, USS Thomas J. Gary due to arrive in Dunedin. 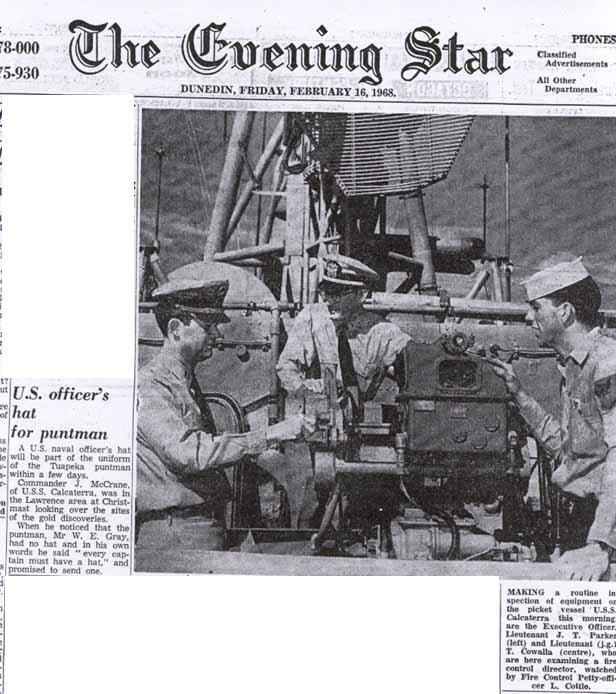 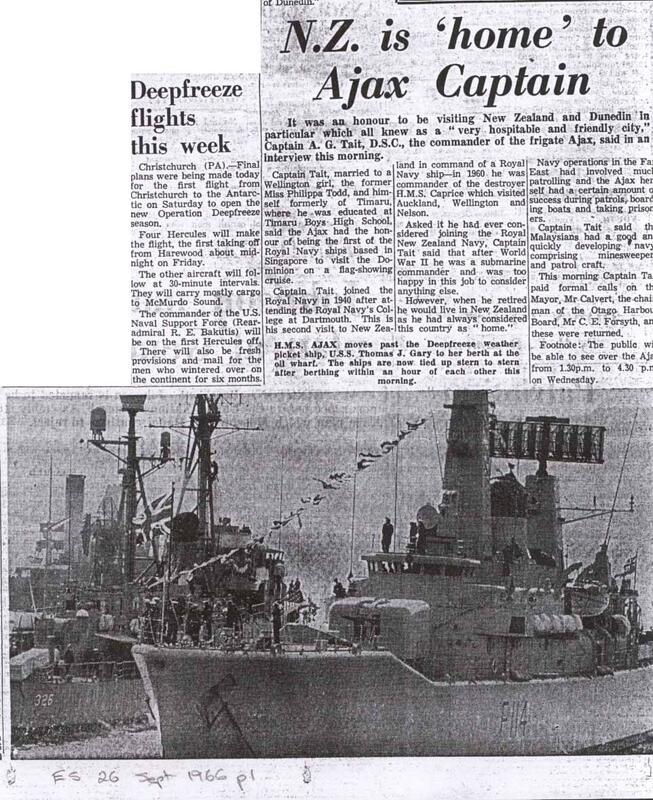 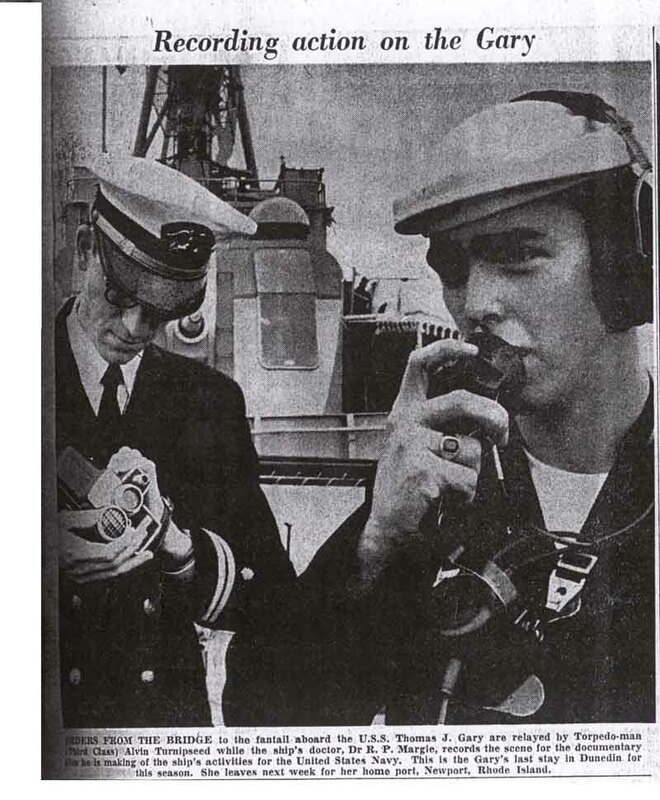 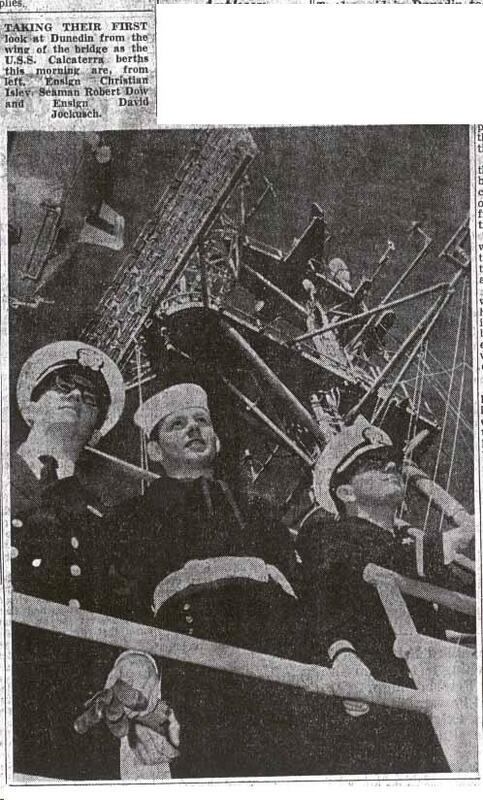 - Nov. 15, 1965, Picket Ship's Main Radar Antenna Lost. 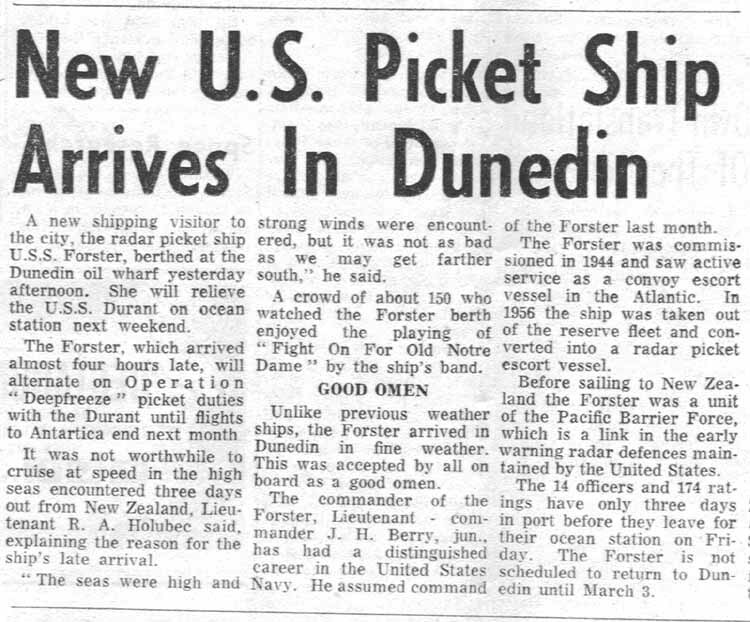 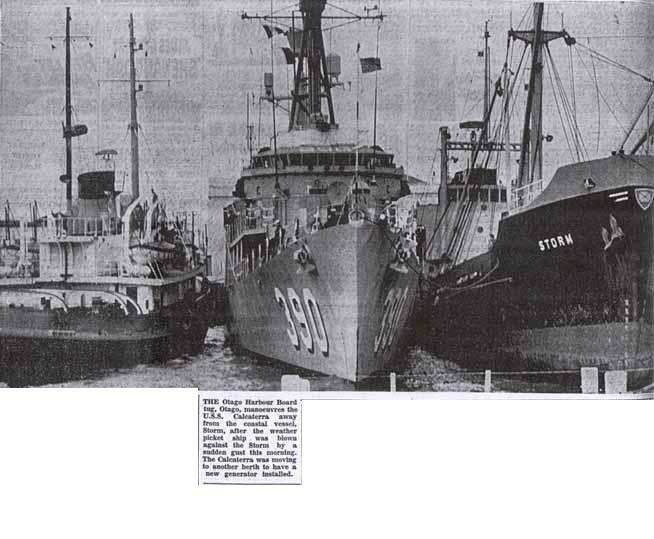 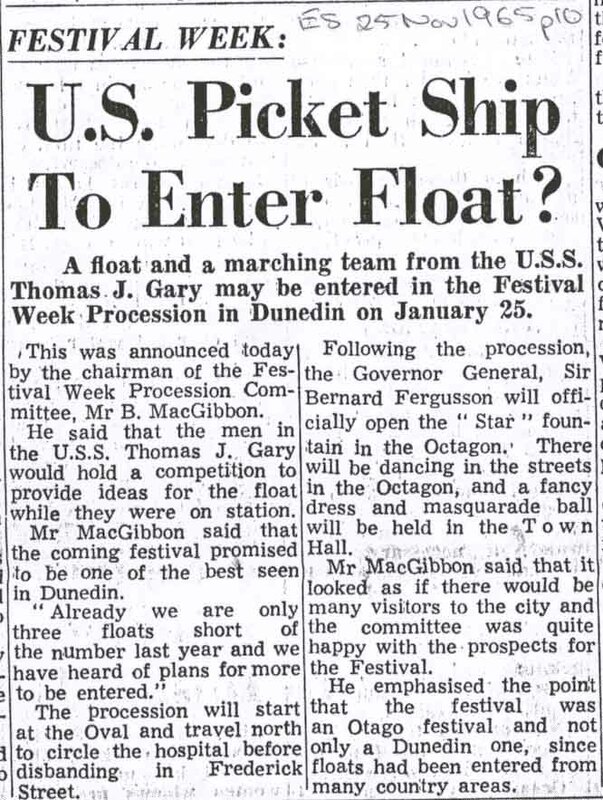 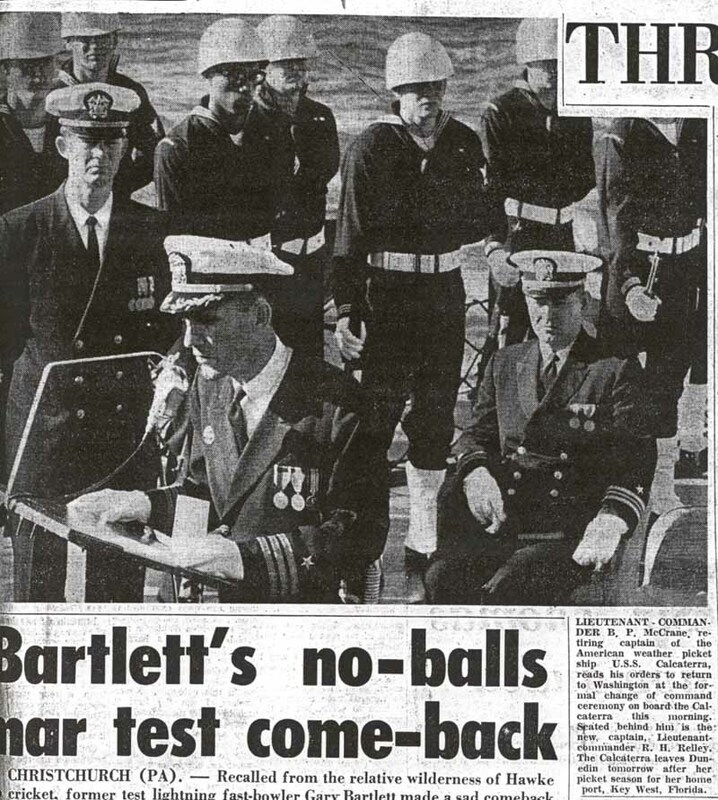 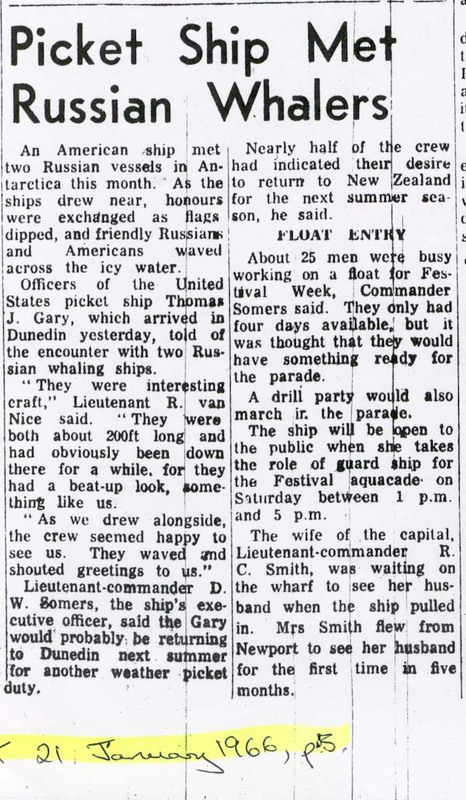 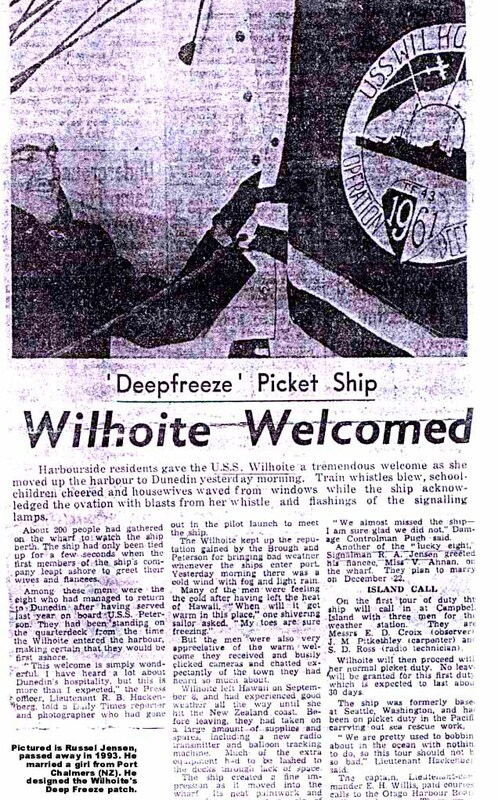 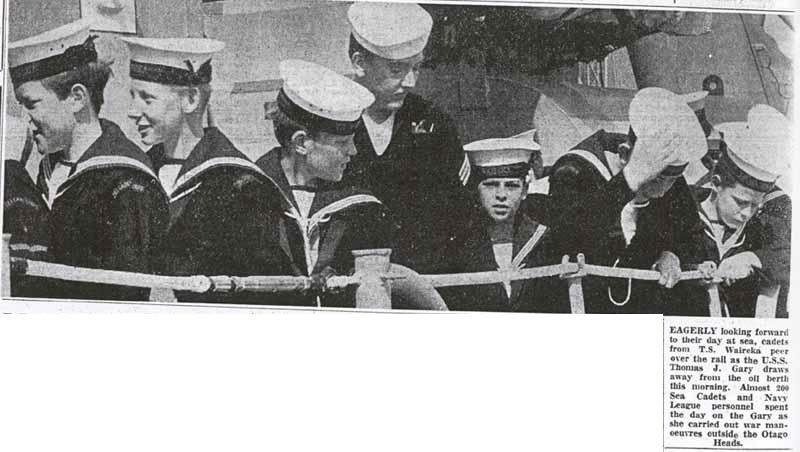 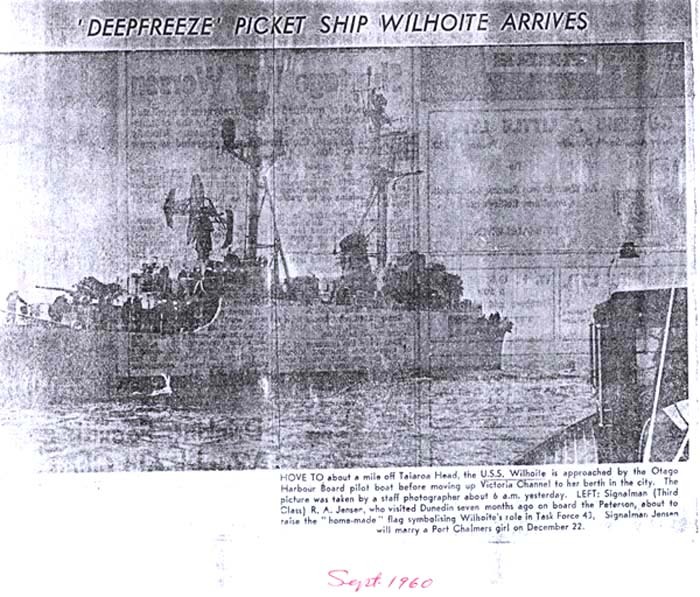 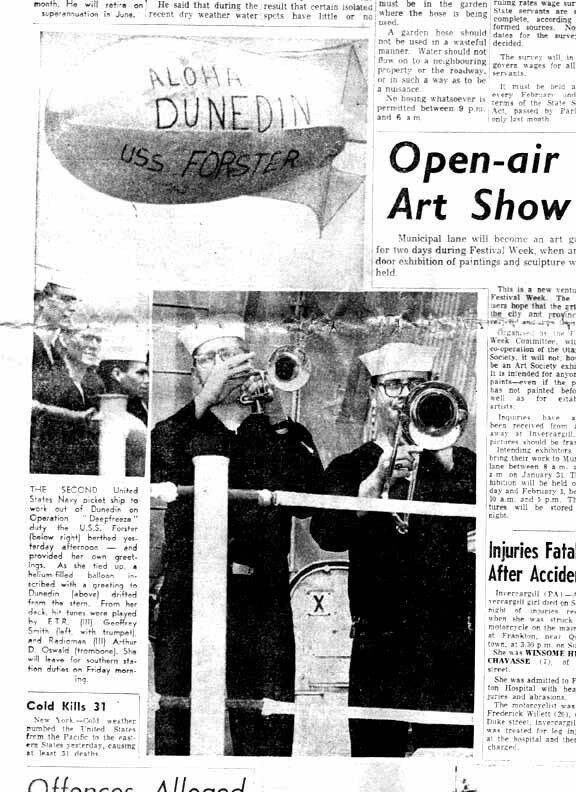 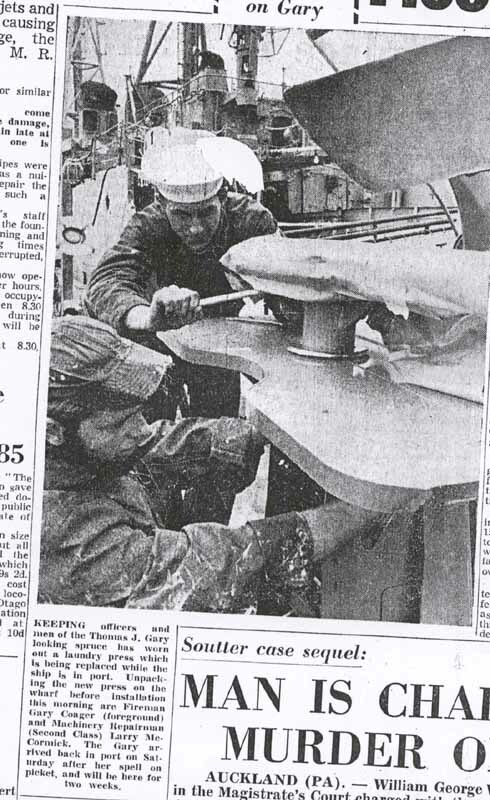 - Nov. 25, 1965, US Picket Ship to Enter Float? 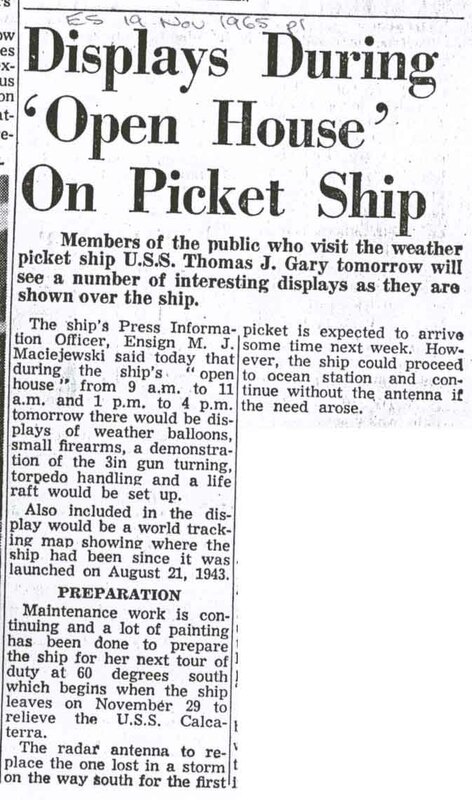 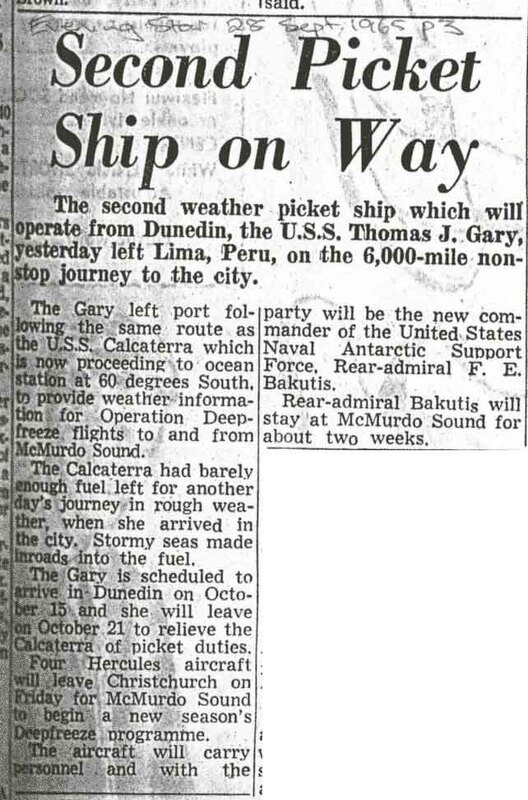 - Sept. 28, 1966, USS Thomas J. Gary departs for first picket. 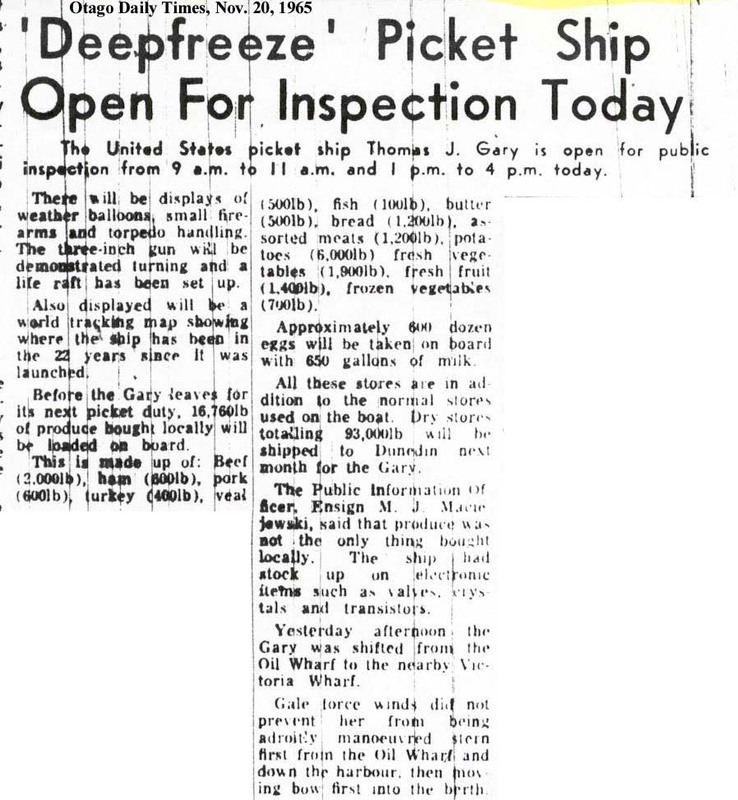 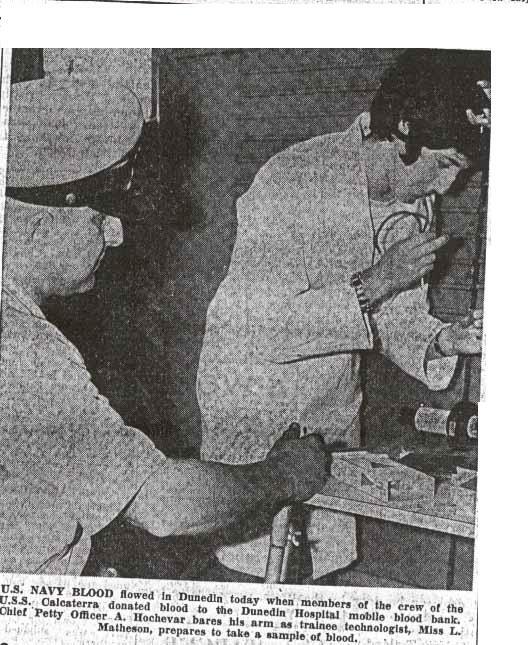 - Oct. 12, 1966, Open House on TJ Gary - there are 2 different articles on this page.